The Greek Ministry of Culture has released the first ever video footage taken inside the Amphipolis tomb at Kasta Hill in northern Greece. The footage shows the meticulous work being carried out by archaeologists as they sort through tons of soil and debris to uncover marble walls and floors, and the stunning mosaic depicting the abduction of Persephone. 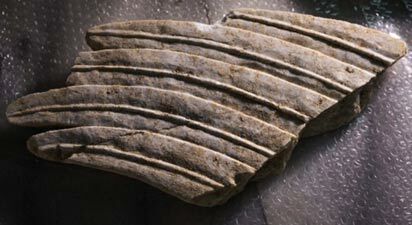 In addition, the Greek Ministry has announced the discovery of parts of the Sphinxes’ wings and one of the missing heads belonging to a sphinx guarding the entrance to the tomb, which was found under collapsed slabs of floor in the third chamber. The head has been described as an “exceptional” work of art. It depicts a woman wearing some type of crown or hat, and with long curls falling over her left shoulder. Traces of red paint could be found on the sphinx’s hair. 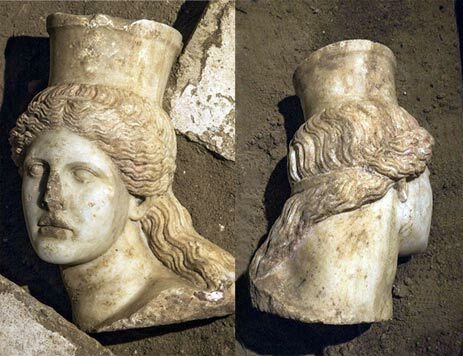 One of the sphinx heads has now been found in the Amphipolis Tomb. Credit: Greek Ministry of Culture. Yesterday, archaeologists made another significant discovery – a marble door weighing 1.5 tons that belongs to the third chamber. The door measures 2.9 by 1.5 meters and is in good condition, apart from a section missing from the lower right portion. 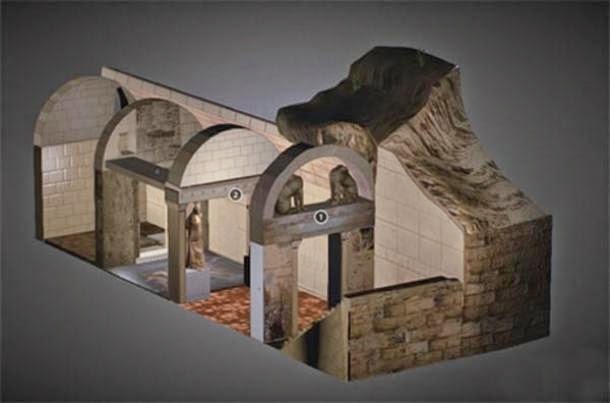 Several days ago, the Ministry made the disappointing announcement that the third chamber of the tomb is the last one, and what they had thought was a door leading into a fourth chamber was actually a place where a marble stanchion had been removed, providing further evidence that looting took place in antiquity. However, in an exciting development, archaeologists have just uncovered a vault measuring 4 by 2.1 meters dug into the natural slate floor. It’s floor is sealed with limestone, which is partly intact. The vault is filled with soil but archaeologists have so far managed to dig out to a depth of 1.4 meters, although it appears to go much deeper. 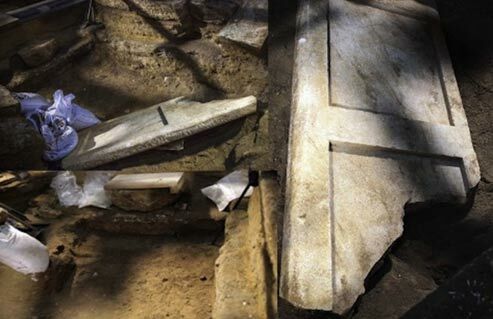 Could this be the final resting place of the tomb’s owner? Only time will tell.